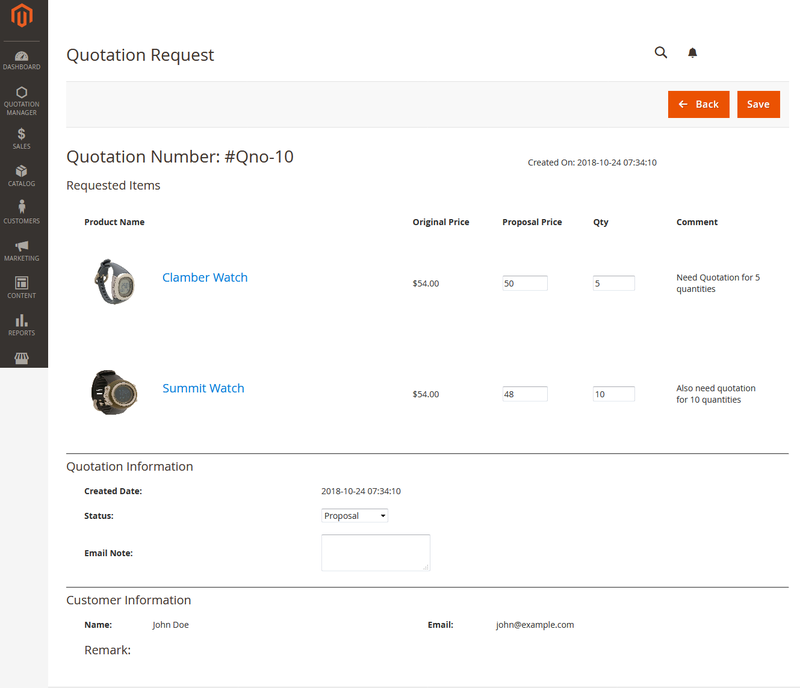 REQUEST A QUOTE FOR MAGENTO® 2 M2 RAQ extension helps customers to ask better price when they are purchasing in bulk. Using this extension customer always asks for better and affordable price especially when they are purchasing the products in bulk. 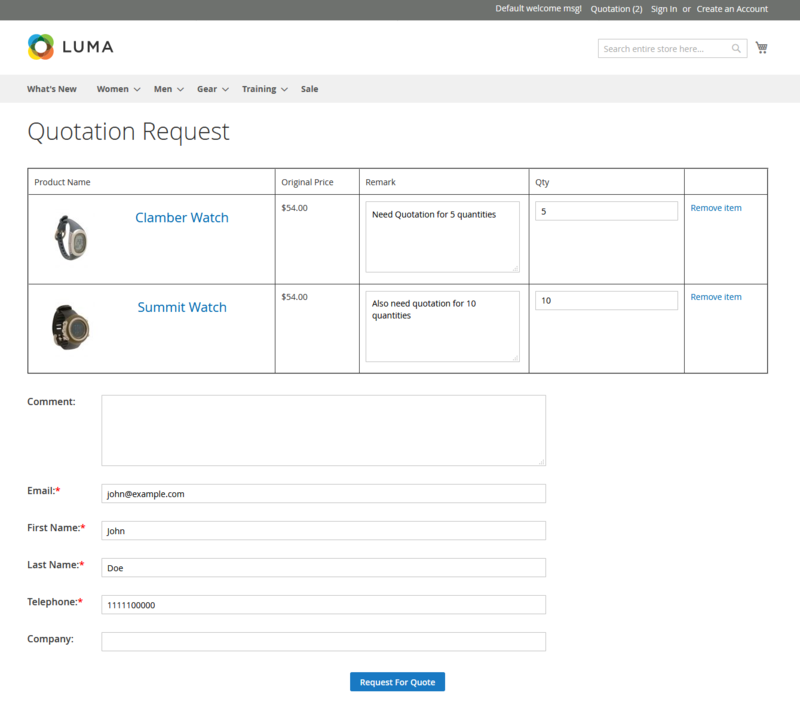 They can send a quotation request from PLP or PDP page. 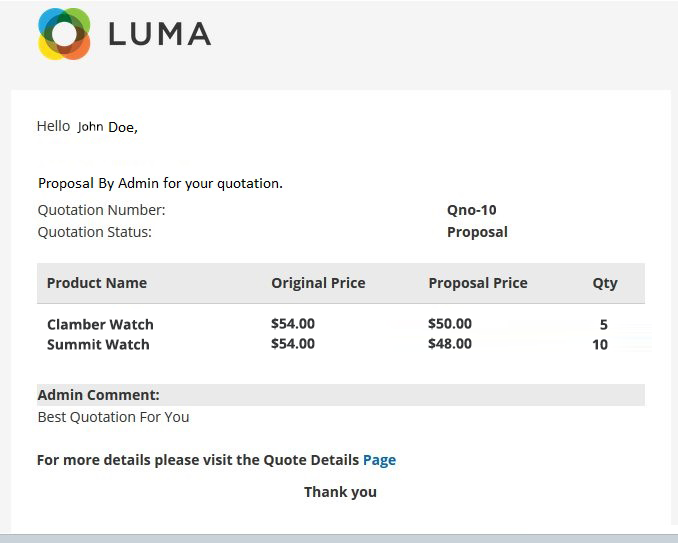 Store-owner and the customer can communicate on quotation request via email or phone. 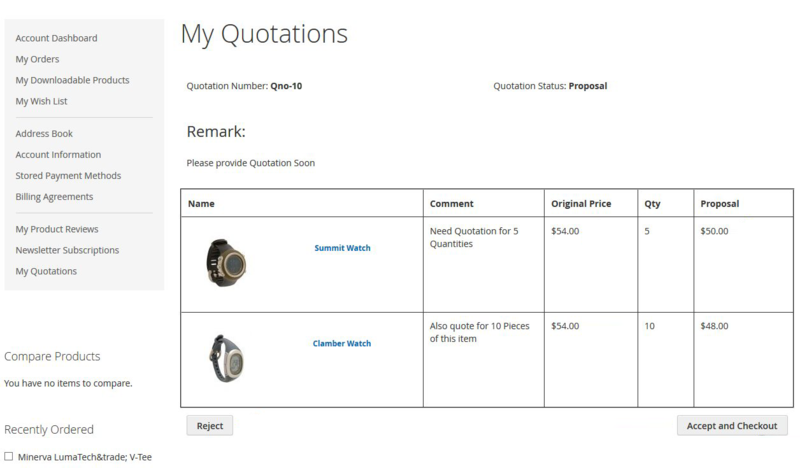 The store – owner will have an option whether to display ‘Add to Cart’ button or ‘Request a Quote’ button for the product. 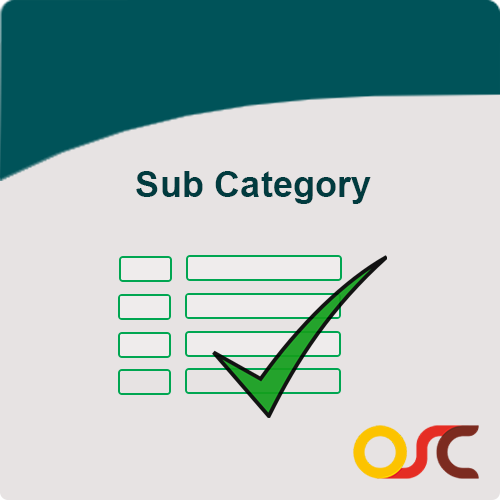 Both buttons can be displayed to the Product. Using this extension store-owner as well as customer can easily communicate with each other and negotiate with the product price.